With all the news of Disney+, Disney’s upcoming streaming surface that will battle the likes of Netflix, Hulu, and Amazon Prime (except with the power of Disney), I’d been a little skeptical. The divided streaming future has always felt disparate to me. I already have the big three streaming apps, and I don’t really want to have to subscribe to more. With today’s announcements as Disney+ was more unveiled fully, I continued to handwave the service, in clear denial. Nope. Nuh-uh. Don’t need it. No. I can just watch that crappy SyFy Channel show on Netflix again, or all 897 seasons of CSI. Who needs… is that Marvel characters? Star Wars content? Oh… they, uh, they’ve got the Simpsons too? Original content…? And then they said the magic words. 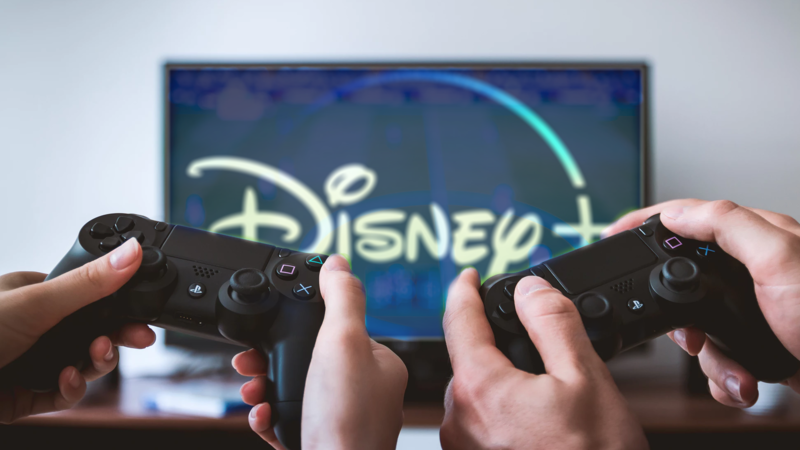 Disney+ PS4. Yup, as if it was ever in question, a Disney+ PS4 app is coming, as well as the service coming to just about every other device out there (I see they are trying to compete with Skyrim!). I couldn’t deny it any longer. While I’m still not jazzed about signing up for yet another subscription service, Disney makes a strong case for why I need Disney+. The price is right at $6.99 a month. That’s less than most of the other streaming video services out there, and even if it might boast a smaller number of overall content, you have to consider the quality of the content. All Marvel and Star Wars films and television shows will live there, including original content created just for Disney+. Falcon and the Winter Soldier have Anthony Mackie and Sebastian Stan reprising their roles. Scarlet Witch and Vision return in WandaVision (terrible name, I know). Tom Hiddleston will even step back into the mischievous grin of Loki in Loki. The Mandalorian offers up the first ever scripted live-action Star Wars series. That alone is a lot to take in, and there’s a lot more. And that’s all just at launch. Now that Disney basically owns the entertainment universe, with the Fox deal finally complete, Disney+ is where all of that will live in one happy place. I feel like if I don’t subscribe to Disney+, I’d be missing out on a massive chunk of pop culture entertainment that I really want to be a part of. It’s like having a PS4 but not getting an PlayStation exclusives. You’re just missing out. And of course the entertainment megaconglomerate is putting its streaming service on PS4 (and Xbox One and Switch, and it will presumably come standard on the next generation of consoles too). Why would Disney miss out on offering its service on the best-selling console that’s permeated nearly 100 million homes? If it were only available via my laptop, chromecast, Roku, cell phone, smart TV, or thermostat, I just may have been able to avoid the temptation to buy in. But having the convenience of a Disney+ PS4 app smacking me in the face every time I go to watch Netflix or Hulu is going to be the thing that gets me. I’m on my PS4 all the time, and that was my tipping point. Disney+ will also allow downloading, so that content will be available even if you’re offline (great for having things to watch on a flight on long trip without an internet connection). It’s not clear exactly how that feature will work on the PS4, but it doesn’t seem like it will have any device limitations and should be handled entirely within the app. Yup, just another strong argument for why I oughta get Disney+. Disney+ is releasing in the US on November 12, 2019, and presumably the PS4 app will be immediately available at that time. I tried to temper my expectations. I tried to not be excited and not want it. I really did. But in the end, it was the moment it crossed over with my PS4—my lifestyle—that I couldn’t resist its pull any longer. I know I’ve got more than half a year to wait, but I’ll be subscribing to Disney+ later this year, and it was all because of my PS4. And the fact that Disney has a stranglehold on a whole bunch of properties I really enjoy.